Within a few hours' drive from Center City Philadelphia, adults can responsibly sample gluten-free libations at cideries, breweries and wineries. 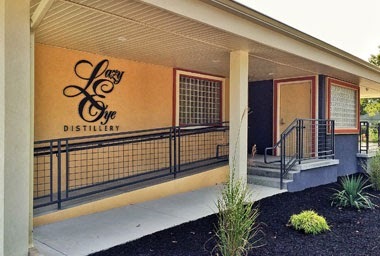 You can add distilleries to the list with the opening of Lazy Eye Distillery, handcrafting vodka made from fermented grapes. Based in Richland, New Jersey (in Atlantic County, about halfway between Vineland and Atlantic City), the family-owned Lazy Eye (1328 Harding Hwy.) is among the first in the Garden State to take advantage of a new law dramatically reducing the cost of a distillery operating license. All of the distillery's spirits are gluten free, from the flagship Lazy Eye Vodka to two varieties coming in 2015: citrus vodka Lazy Eye Special and Raki, a spirit celebrating the Greek heritage of owners Nick and Carol Kafkalas. Distillery tours and vodka tastings take place every Saturday by reservation only. The cost is $10 per person and includes three tastings. The namesake vodka is available for purchase at the distillery. Off-topic: Have you heard anything about Nom Wah Tea Parlor (dim sum/opening soon)? They have a gf menu in NY. I haven't seen/heard anything about the Philly location. I was hoping they might have a broader gf menu here since they're building from scratch and aren't constrained by a set-up kitchen.